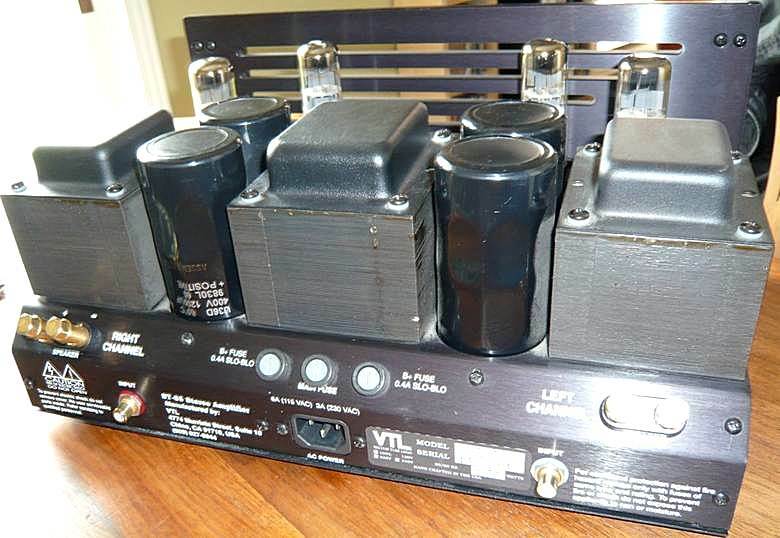 VTL ST 85 , storico finale stereo della factory americana la cui dinamica potenza ha permesso a tanti audiofili appassionati del suono valvolare di pilotare agevolmente anche diffusori difficili come alcuni ostici modelli di Jim Thiel. I suoi quattro tubi EL34 che lavorano solo in configurazione tetrodo, governati dai robusti trasformatori d’uscita, regalano il classico suono delle valvole, ma senza scadere in morbidezze e mollezze dinamiche. Precursore delle moderne amplificazioni VTL, questo ST 85 è stato un finale “significativo” nel panorama del marchio, nonostante fosse una elettronica non costosa, poiché ha segnato il passaggio tra la vecchia e la nuova serie, pur nella scia della tradizione sonica del marchio. L’attuale modello ST 85 in produzione differisce poco, nella sostanza, dal precedente modello, se non nella capacità di lavorare anche a triodo, adottando sempre quattro tubi EL 34 e fornendo una potenza di 60 watt per canale (circa la metà a triodo). Se si riesce a trovare un esemplare in perfetto stato si avrà la certezza di un suono ricco della magia valvolare targata VTL. Quotazione: dai 1.500 ai 1.700 euro (per un esemplare in buono stato secondo le condizioni). If you’re thinking you’ve just heard the war cry of Tim “The Tool Man” Taylor, from TV’s long-running sitcom Home Improvement, you’d be…wrong. 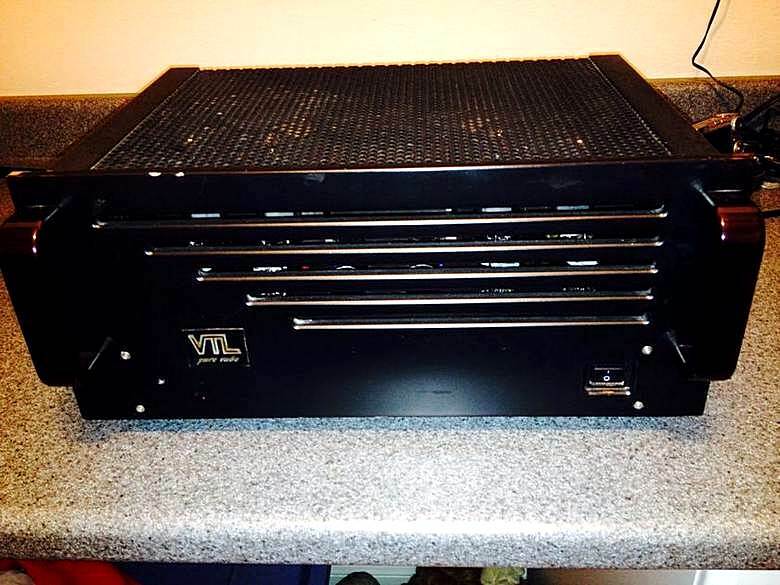 No, that was Luke “The Tube Man” Manley, from high-end audio’s long-running manufacturer VTL, and he’s trying to convince me that, when it comes to amplifier power, more is definitely more. Luke agreed, and left me to my listening. I was surprised that he had that reaction; after all, the ST-85 is rated at 85Wpc. 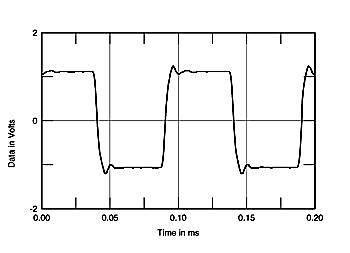 Oh—that’s into four ohms. 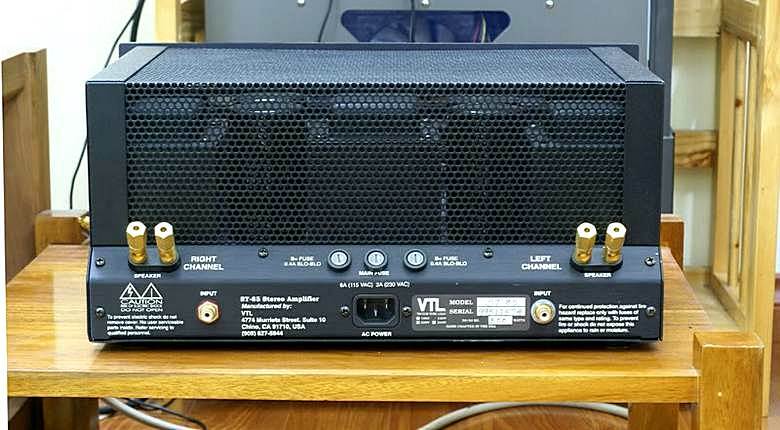 VTL doesn’t quote a rating into 8 ohms, since the VT-85 is optimized for a load of around 5 ohms, but Luke says that the 8 ohm rating would be around 70Wpc. That still strikes me as plenty of power, but Luke seemed pretty adamant. Maybe two ST-85s would help—if help was needed. After all, you can’t judge a component by its specs. You’ve got to listen…….. 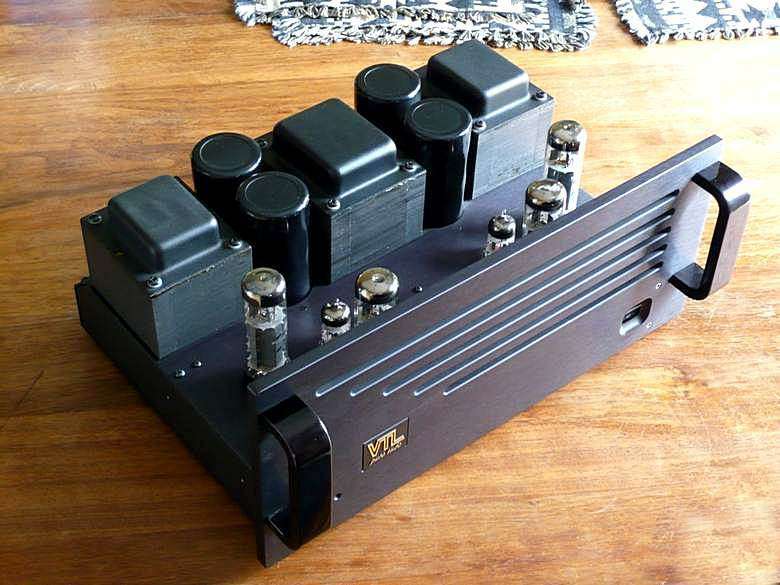 Need an amplifier? Stereo, specifically? Do you have champagne tastes but a beer budget? (Okay, so “beer” here means “ultra-premium microbrew.”) And, to complete our qualification questionnaire, would you like a well-defined upgrade path so you can improve your system in a straightforward, no-brainer manner as finances allow? If so, step right up. The VTL ST-85 is solidly built and a breeze to use—biasing is easy, there’s only one output tap, and it has a cover to keep nosy pets and kids from getting burned. It offers outstanding performance driving real-world speakers, performance so good that I’ll bet my last EL34 you’ll be as amazed as I was at the improvement when you upgrade by adding a second ST-85. After that, if you want to keep going up the VTL amplifier ladder, there are plenty of rungs to climb…but that’s another story (footnote 2). This story is about the ST-85, and it’s one with a happy ending. 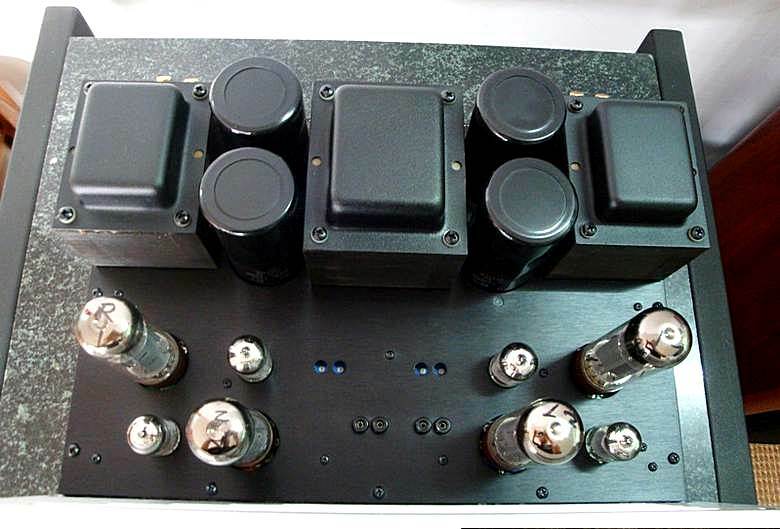 The ST-85 is, in many ways, the finest amplifier I’ve had in my system. (The Bryston B-60R integrated is its main rival.) 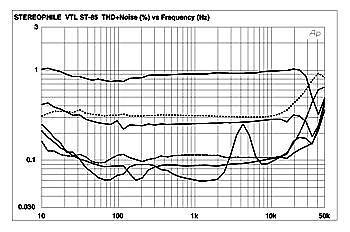 The VTL imparts a 3-D sense of the original event while retaining truth of timbre, a combination that very few components can match, at this or any price. Very highly recommended. 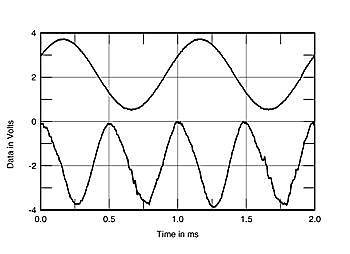 Fig.1 VTL ST-85, risposta in frequenza a 1 watt/8 ohms-2 watt/4 ohms-a 2.83 V.
Fig.3 VTL ST-85, distorsione d’intermodulazione vs frequenza a 4W su 2 ohms, 2W su 4 ohms, 1W su 8 ohms, a 2.83V. 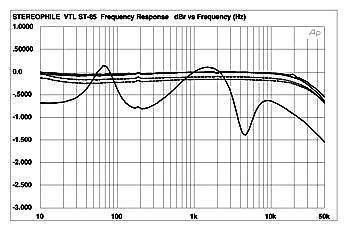 Fig.4 VTL ST-85, forma d’onda a 1kHz a 2W su 4 ohms (top). 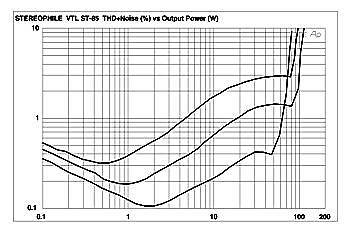 Fig.5 VTL ST-85, distorsione (%) vs Potenza d’uscita continua: 8 ohms, 4 ohms, 2 ohms. Valvole adottate: 4 EL 34, 4 12AT7. Massima potenza d’uscita: 85 W pc su 4 ohms. 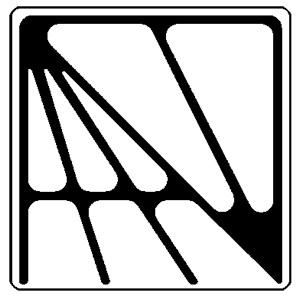 Distorsione d’intermodulazione: <3% da 20Hz a 20kHz. Rapporto segnale/rumore: 95dB a 120Hz. Consumo: 175W; a piena potenza 550W.